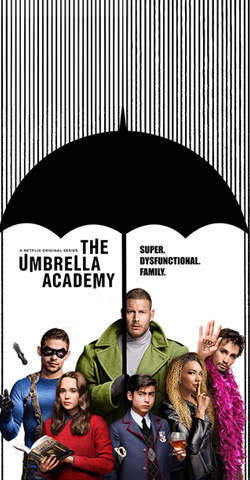 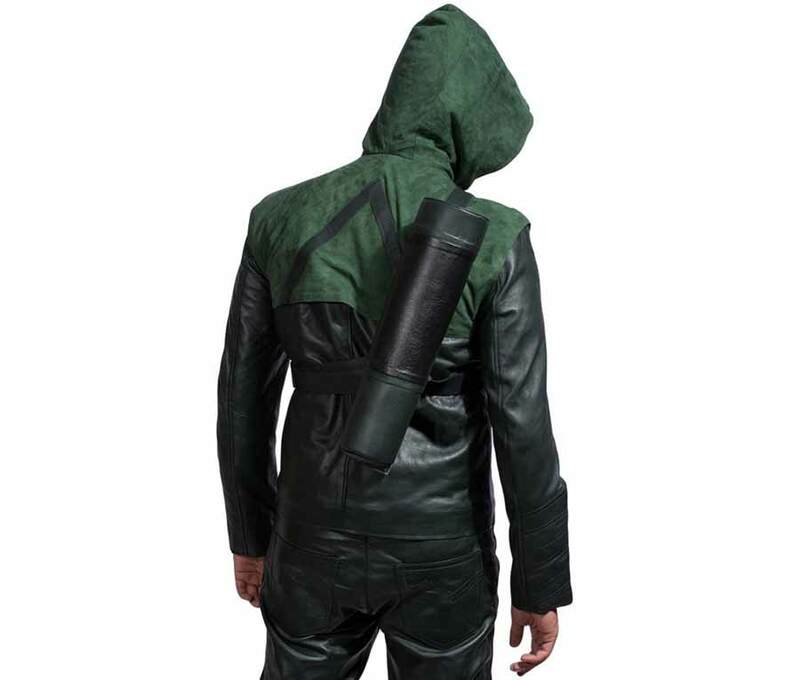 If you’re one of that million people who are insane after the Stephen Amell get-up then you’re at the right place. 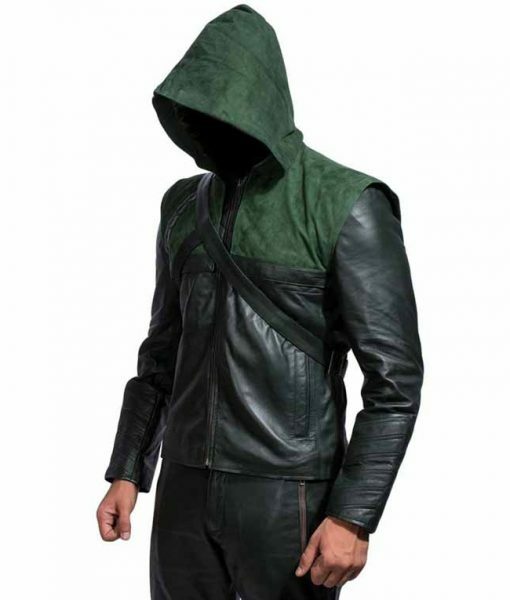 Arrow Leather Jacket is quite appealed to the fans of Stephen Amell. 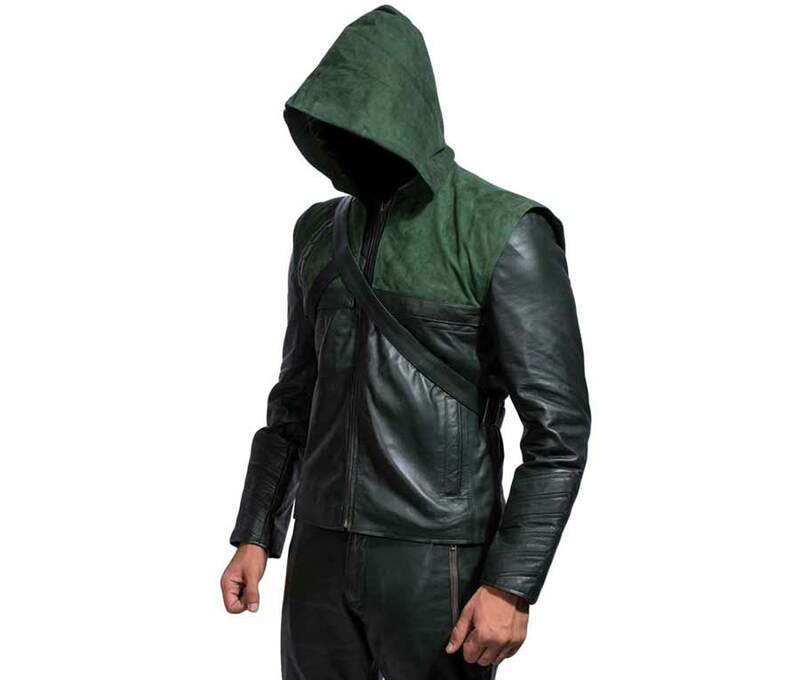 Green in shade and hoodie in style are making this clothing an irresistible wear for the Arrow’s fans. 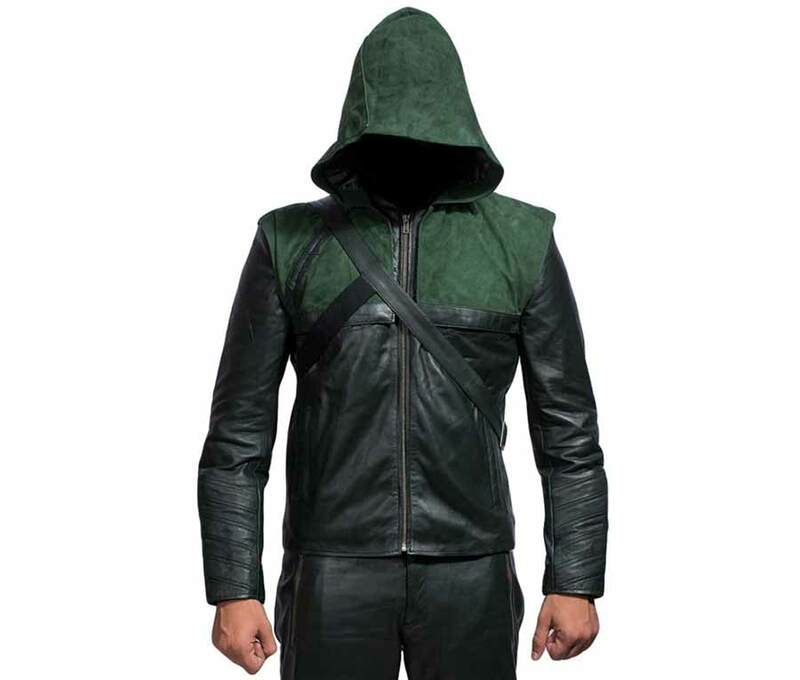 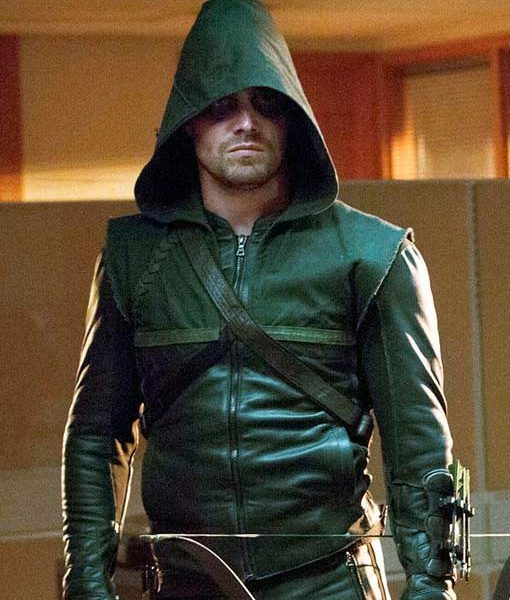 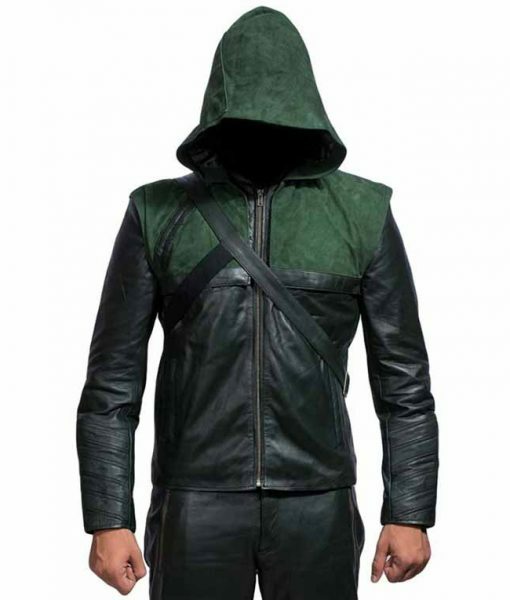 Stephen Amell Green Arrow Jacket is shaped from the PU leather material with top quality and soft dash. 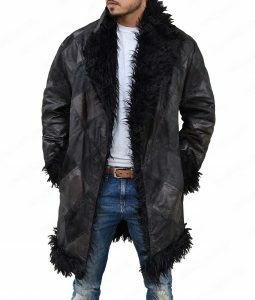 The viscose inner makes this jacket more comfy to be wear for protracted. 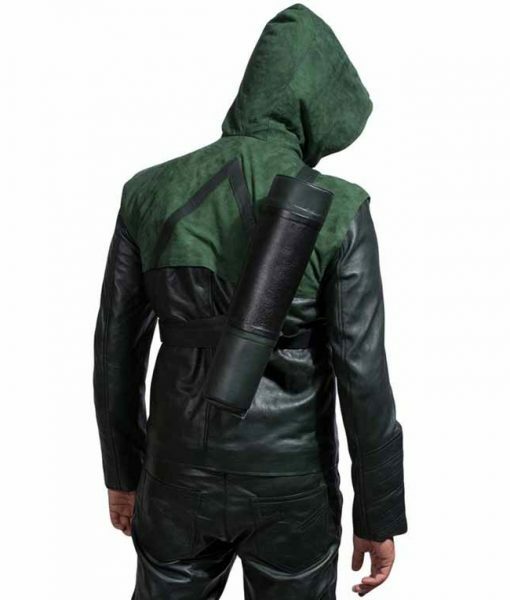 The removable hoodie and quilted deign chest make this jacket useful for multi wearing purpose. 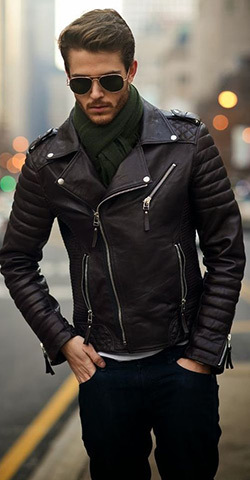 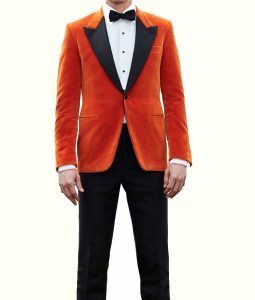 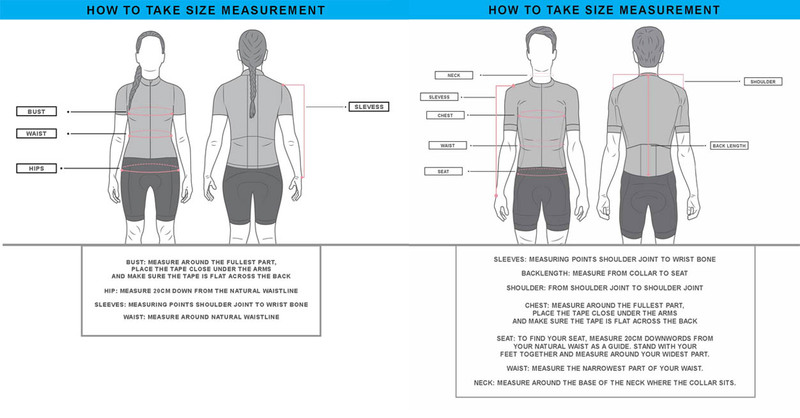 It comprises front zipper closure and stand-up collar to give you a cleverer look.